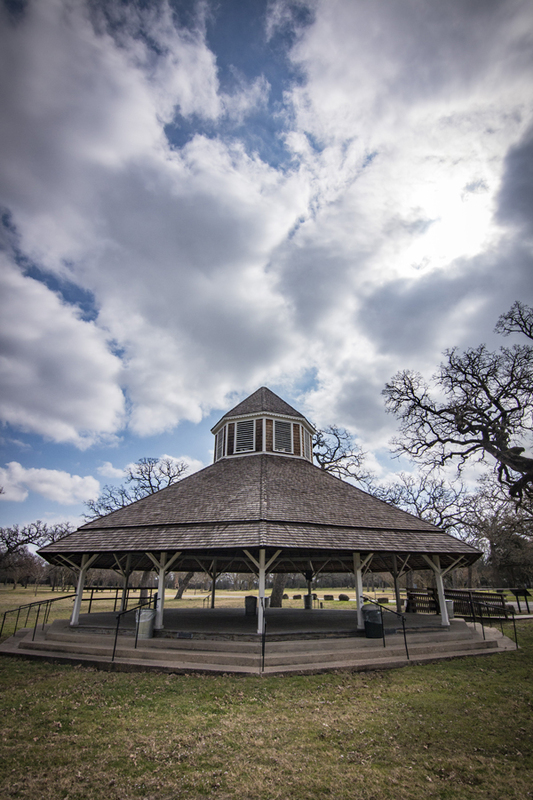 With its towering bur oaks and crystal springs, the bend of the Navasota River at the juncture of Jack’s Creek has served as a gathering place from prehistoric times to modern day. A moderate climate with an annual average rainfall of 40 inches and easy access to spring-fed water created a diverse environment and habitat for wildlife. Evidence suggests human occupation of this area as early as 6000 to 200 B.C. by hunter-gatherer groups of the Archaic Period. Historically, the area was a point of transition and crossroads for several Native American groups including the Caddo, Tonkawa, Tehuacana (Wichita) and Comanche. Bison herds roamed the grasses of the Blackland Prairie, the edge of their southern and eastern range. Beginning in the 1880s, Civil War veterans, Union and Confederate alike, wished to celebrate the camaraderie and memory of their war experiences and sacrifices. In spite of the strife and hardships of post-war Reconstruction, a strong sense of brotherhood persisted. Small groups of Limestone County Confederate veterans met informally to socialize and reminisce, and in 1888 they began meeting annually in the spot where Jack's Creek enters the Navasota River, known then as the “Pen Campmeeting Grounds.” The next year, they organized the Joseph E. Johnston Camp of the United Confederate Veterans (UCV), named for the commander of the Confederate Army of Northern Virginia and Tennessee. The chapter became the 94th affiliate of the rapidly expanding UCV. People attending the annual reunions, held in late July or early August under a full moon, arrived by horse, buggy and special trains from Dallas and Houston. The camp financed the purchase of the reunion grounds by selling camping lots to the veterans and their families. Families built summer cottages or camped in tents or brush arbors and planted crepe myrtle and irises, some of which still bloom at the site each spring. 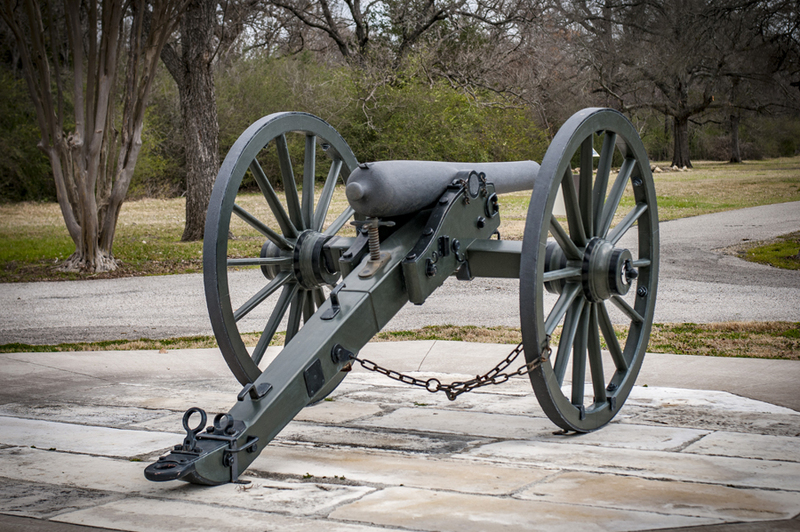 Each day at dawn and dusk, veterans proudly fired Old Val Verde, one of two Union cannons (both of them Ordnance Rifles) captured by Confederates at the battle of Mansfield, Louisiana in 1864. These guns saw action for the Confederates in the Louisiana campaigns with the Valverde Battery. At the end of the war, Captain T.D. Nettles buried the two cannons under a buggy house in nearby Fairfield rather than surrender them to Union troops. Today, the one known as Old Val Verde is on display beneath the flagpoles at the center of the site. During the reunions, veterans eulogized those soldiers who, in the words of General Stonewall Jackson, had “cross[ed] over the river and [now] rest under the trees.” The gatherings also included parades, brass band concerts, patriotic speeches, games and traditional southern foods. Attendees danced the nights away on the wooden floor of the pavilion, which is now listed in the National Register of Historic Places for its unusual architecture. In 1892, veterans and families began purchasing lots at $5 each to pay for the first 20 acres of land purchased by Camp 94 UCV for a sum of $200 from the Mexía family. Each purchaser received a deed for camping privileges at the reunions. Added to the 20 acres purchased in 1892, were tracts purchased from several individuals including African American families who had worked the fields as former slaves or who had migrated to the area after Emancipation. By the end of World War I, the gatherings continued but on a smaller scale. In 1946, the charter of Camp 94 expired and the grounds fell into disuse. In 1965, the Joseph E. Johnston Camp No. 94, C.S.A. was permanently chartered as a nonprofit corporation; and in September 1983, the corporation donated the Confederate Reunion Grounds to the state of Texas. The Confederate Reunion Grounds continues to serve as a gathering place today. As many as 7,000 people attended the annual reunions held at the Confederate Reunion Grounds. Archeological evidence suggests that Native Americans used the area as early as 6000 B.C. 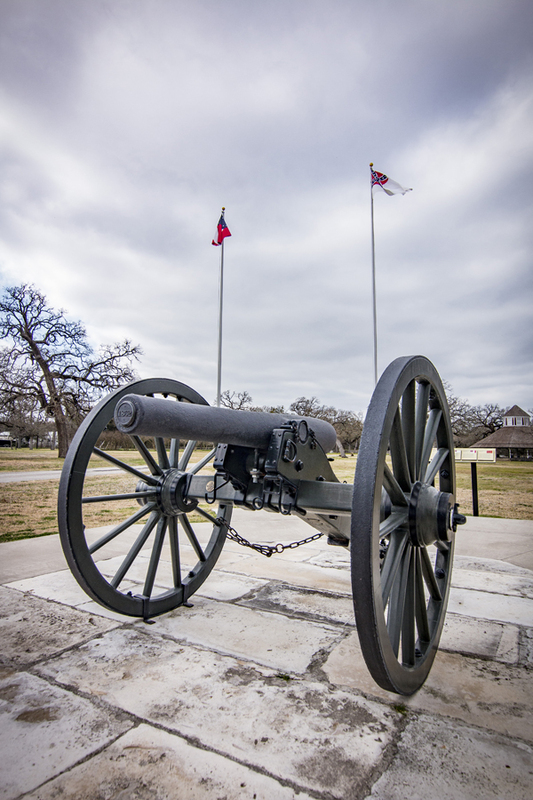 Although no Civil War battles were fought in Central Texas, three out of every four free men in Limestone County served in the Confederate Army. One in two Confederate soldiers became casualties of the war: killed, wounded, missing or by developing chronic conditions that led to eventual death. 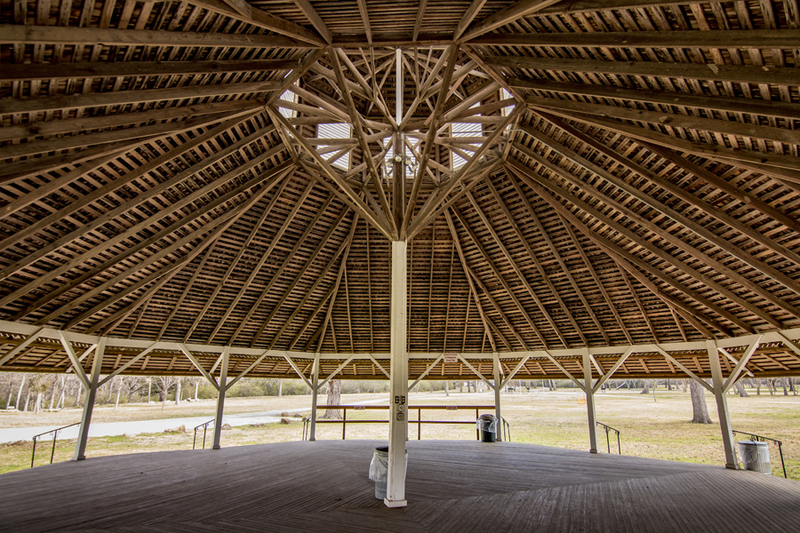 An octagonal dance pavilion constructed in 1893 is preserved at Confederate Reunion Grounds and is recognized by the National Register of Historic Places for its unusual architecture. Visiting guests at reunion gatherings gave lectures on Stonewall Jackson, past battles or memorialized the Confederate dead. One early guest speaker was Nicholas Blain of Fairfield, a former slave and Confederate veteran who served with his owner, George Blain, with the Company G, Seventh Texas Infantry, during the Civil War. Hokey Pokey, an ice cream confection that vendors made in large barrels, was sold for 5¢ a slice as a cool relief from the hot summer days of July and August. In November 1920, wildcatter Albert E. Humphreys struck oil in Limestone County and Mexia became a boomtown at the center of one of the largest oil fields in the world. Affectionately known as “The Colonel,” Humphreys was a devotee of Confederate history. 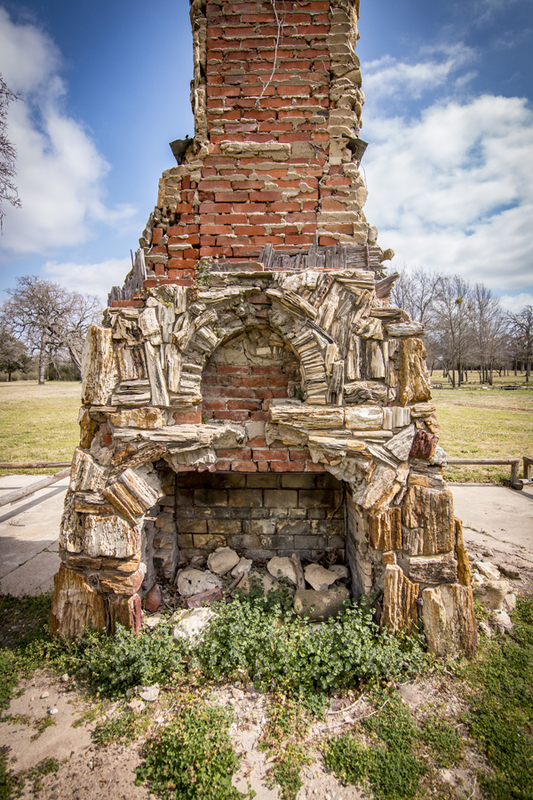 While other Texas reunion grounds faded away with the demise of older veterans, Humphreys brought improvements and a surge of renewed activity to the Confederate Reunion Grounds, including the Pure Oil Company clubhouse and a large bathhouse on the creek. The 1920s pump house was equipped with a 55,000 barrel standpipe, water tank and water system that supplied water to the oil drilling rigs of the Pure Oil Company. Current equipment in the pump house includes a Cooper-Bessemer gas engine and a Goulds (or Buda) pump. 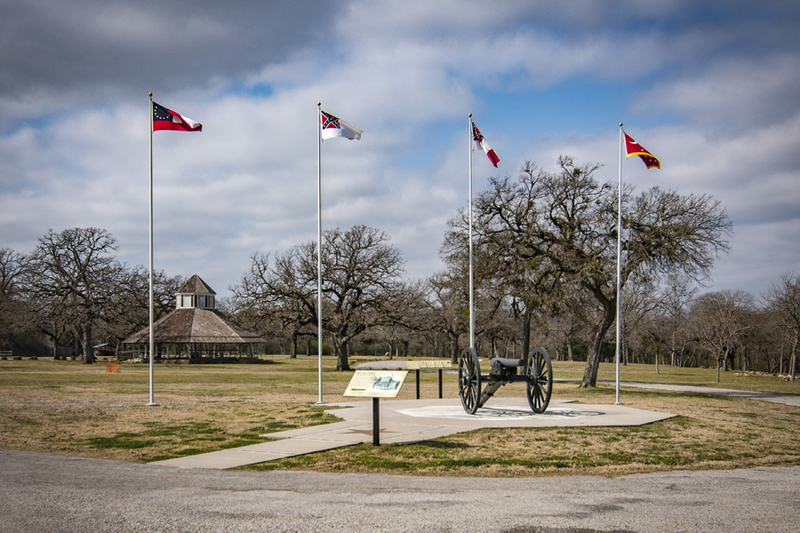 If you are traveling the Prairies and Pineywoods Wildlife Trail West, you will find Confederate Reunion Grounds at site number 23 on the map. The Prairies and Pineywood Wildlife Trail is one of four trails on the Great Texas Wildlife Trails developed by the Texas Parks and Wildlife Department.